Glen Page was born in Smithfield, Utah, and his parents moved to Preston, Idaho shortly afterwards, where he spent the rest of his childhood. His father, Sterling Page, was an electrician who helped build the power plant at Alexander Reservoir. He died when Glen was only six years old, leaving behind Glen, his mom, and two little sisters. The family lived on the west edge of Preston, making it easy for Glen to play in the sand dunes and fish and swim in the Bear River. He was an excellent athlete, participating and lettering in several different events. He was most proud of being a member of the Preston High School basketball team that won the state championship in 1947. He later attended Utah State University on a football scholarship. Glen was drafted in 1951 and spent two years in the Korean War, serving as a sergeant in artillery and field communication. After returning home he went to work on his aunt and uncle’s sheep ranch in the Chesterfield Valley, where he met and married Beth Ann White. They were married for 64 wonderful years and had three children: Rhea, Curtis, and Sharon. 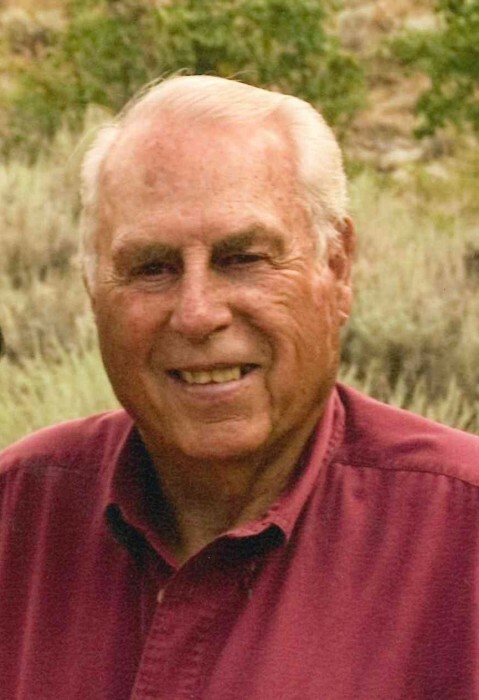 In 1957 Glen was hired by the Idaho Fish and Game Department, beginning his career in Grace, Idaho. From there the family relocated to Preston, Homedale, and finally Montpelier, in 1968, where he finished out his long career, retiring in 1991. He loved living in Montpelier, where he enjoyed the close companionship of many friends and neighbors, and even if you didn’t get a chance to meet him, he probably spied you hunting or fishing at one time or another. Glen spent his retirement years hanging out in the coffee shop with his buddies, working in his yard and greenhouse, and fishing at Little Valley and Crow Creek. He especially loved family vacations, which usually involved fly fishing in Idaho or Wyoming. He was proceeded in death by his father, mother, stepfather, two younger sisters, and a son-in-law. His survivors include his wife Beth of Montpelier, ID, daughter Rhea Cook of Salt Lake City, UT, son Curtis (Julie) Page and granddaughter Sylvia of Salt Lake City, daughter Sharon (Tim) Horn of Elko, NV and their children Randi (Pat) Bluemel and family and Casey (Kyler) Doble and family. He is also survived by a sister, JoAnn Golightly (Boyd) of Preston, ID. The family would like to thank the staff at Bear Lake Memorial Skilled Nursing Facility for their professionalism and kindness this past year. Funeral services will be held at Schwab-Matthews Mortuary in Montpelier on Saturday, December 8 at 11:00 am, with visitation with family an hour before. Internment with military honors will follow at Montpelier City Cemetery.